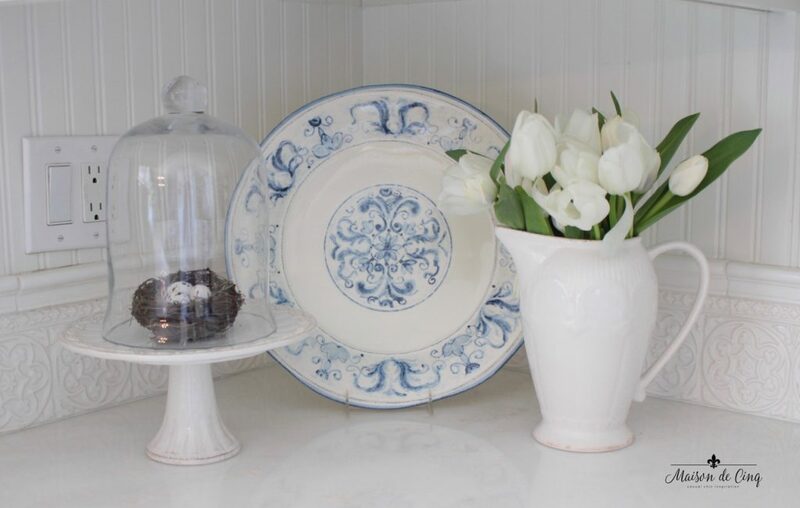 Friday Favorites - Decorating with Cloches and Why I Love It! 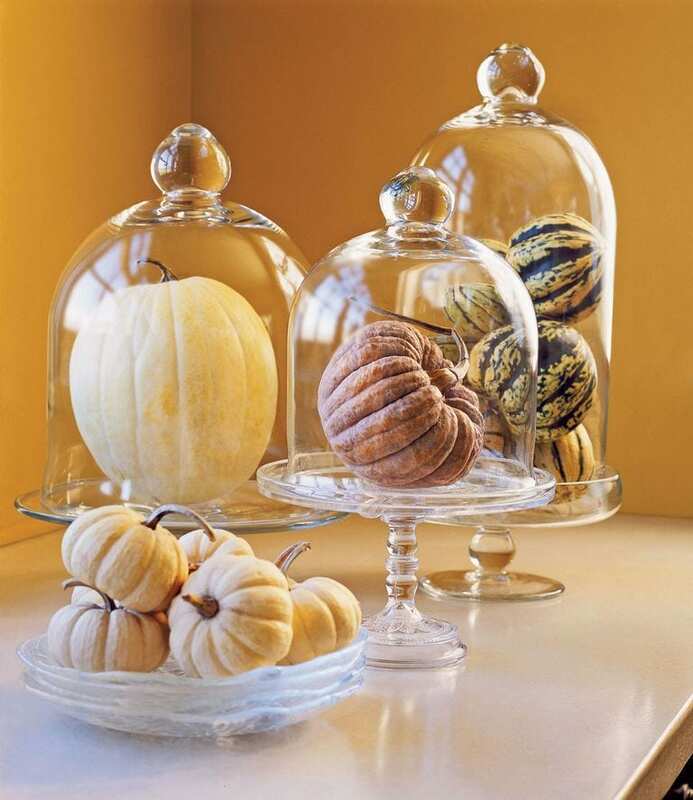 Decorating with cloches is one of my favorite ways of highlighting something special or adding interest to a vignette. So although I’ve spoken of my love for glass cloches before on the blog, I thought it might be time to revisit the subject! I first saw and fell in love with them years ago in Paris. They are all over the beautiful bakeries in that city. But at that time, I never saw them here in the United States. I’m not sure why they took so long to appear here, but I’m so glad they did! I usually have several in my kitchen on top of different sized cake stands. Sometimes I display homemade desserts in them, but often I just leave them empty. I love the lines of them, and the way the sun shines through them. 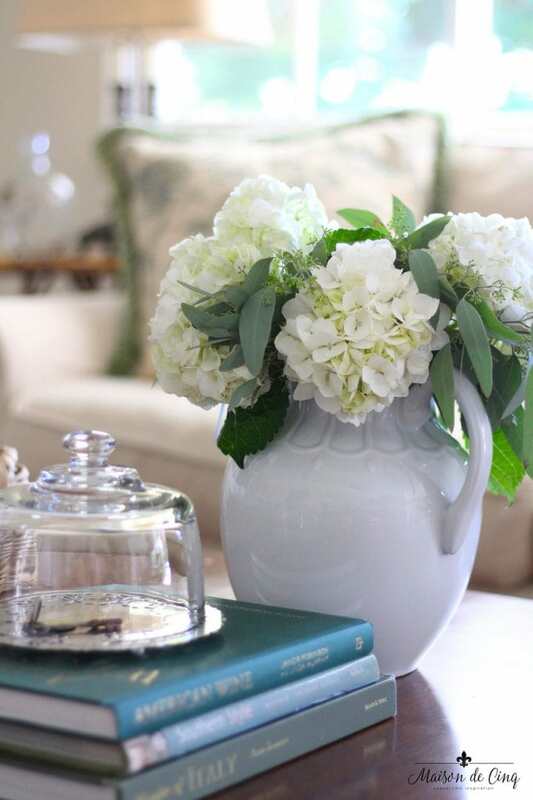 I’ve even used them in the family room and put other items under the glass as a focal point. 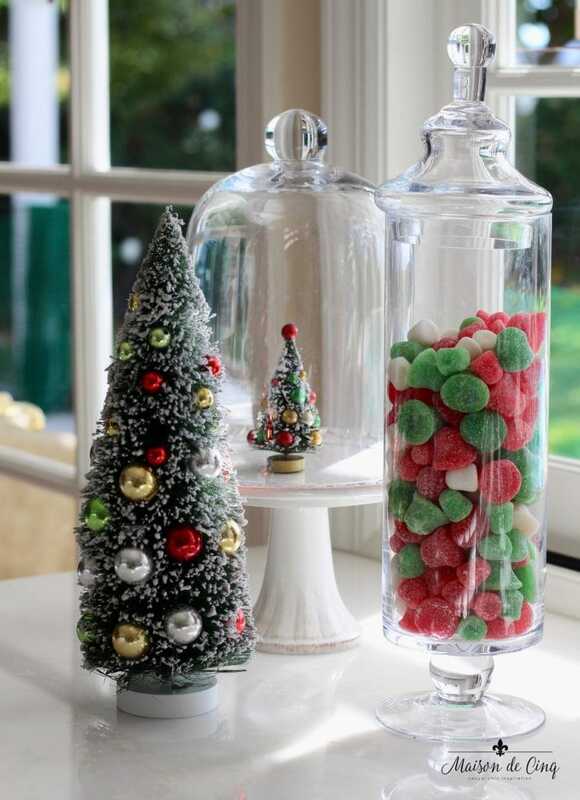 My personal favorite way to use them is on a white cake stand in a white kitchen, however, I’ve seen them on clear glass cake plates, on willow basket trays, on granite or marble pedestals, or even a wood platter. 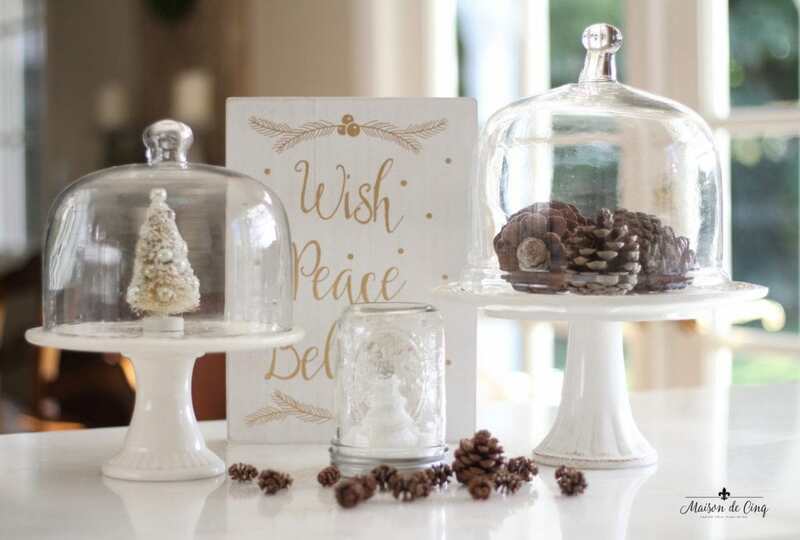 Decorating with cloches adds an old-fashioned charm, and they make anything you put under them look special. 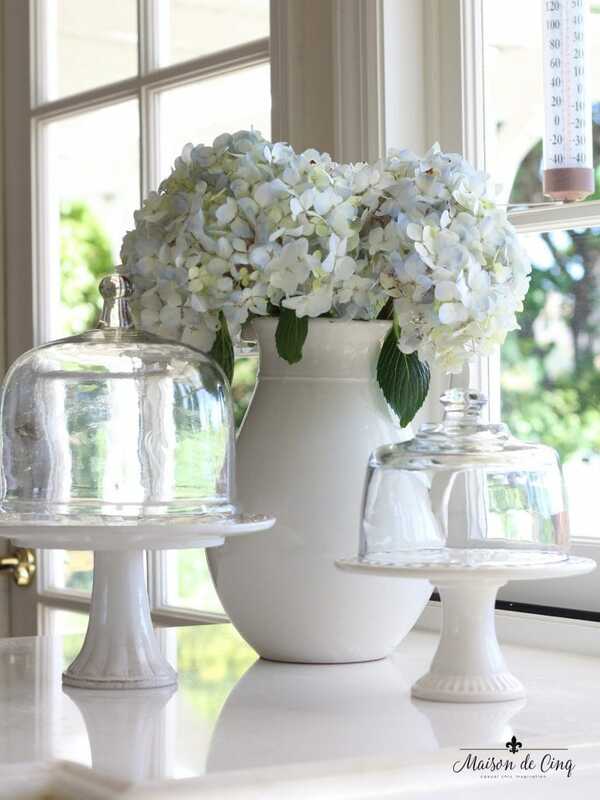 Hydrangeas in a white pitcher and some cloches form a vignette on my kitchen counter. They are even cute empty! 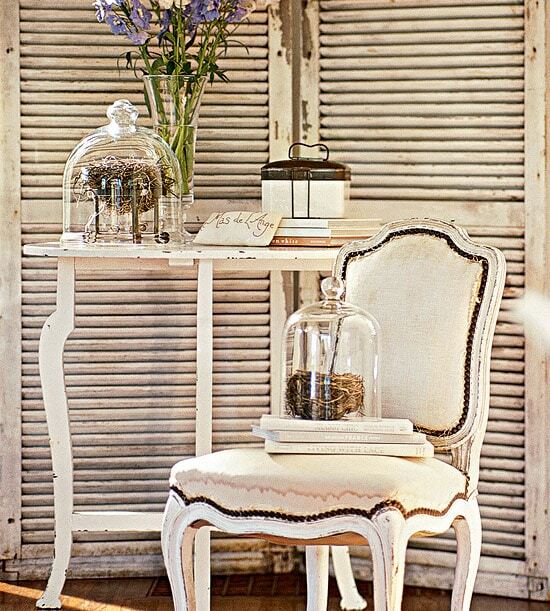 Via Elle Decor South Africa. 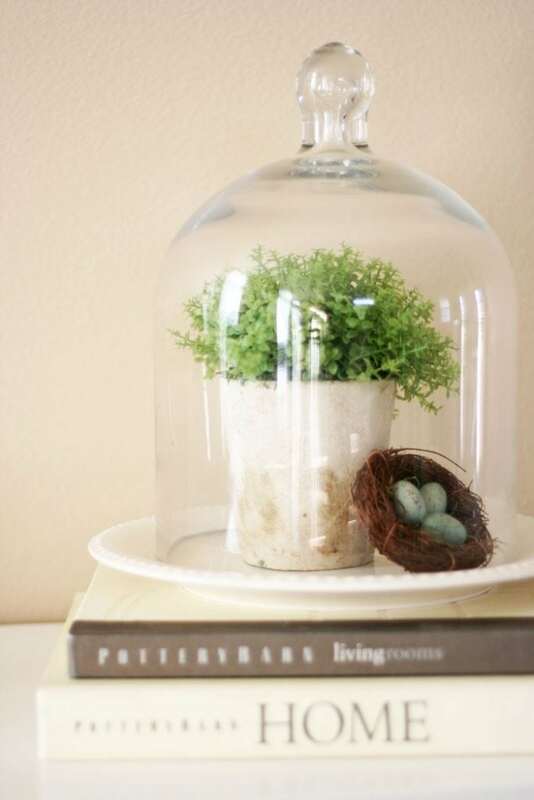 A spring display I created with a cute bird’s nest under glass. Another little nest under glass for a spring tour. 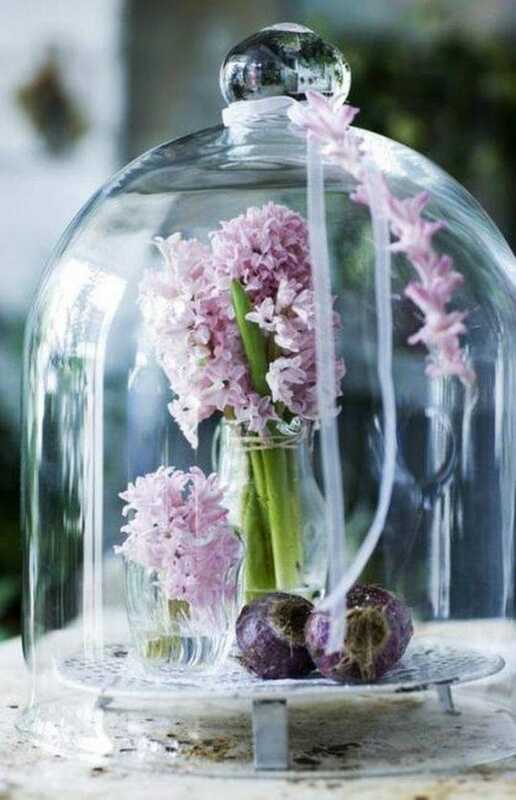 These hyacinth under glass are gorgeous! Via Better Homes and Gardens. 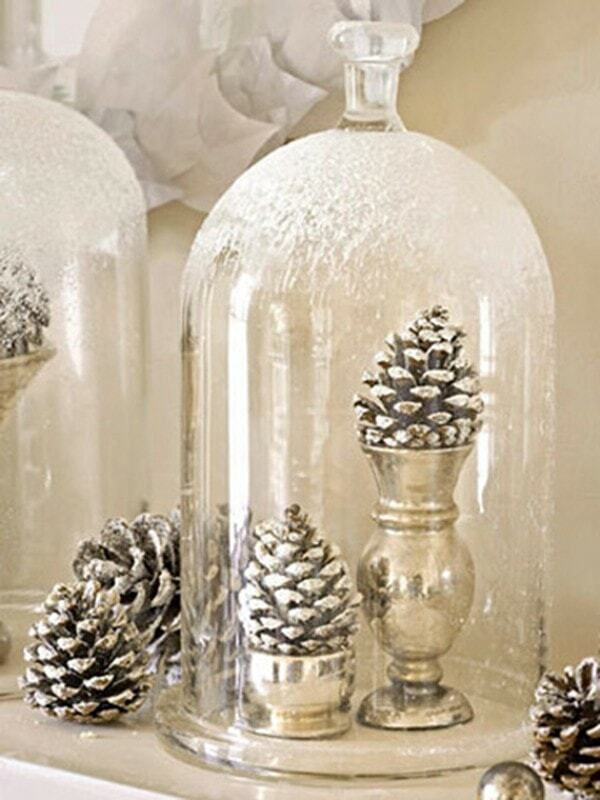 Decorating with cloches is great at the holidays as you can put almost any kind of seasonal decor under them. I adore this wonderful fall display using pumpkins! 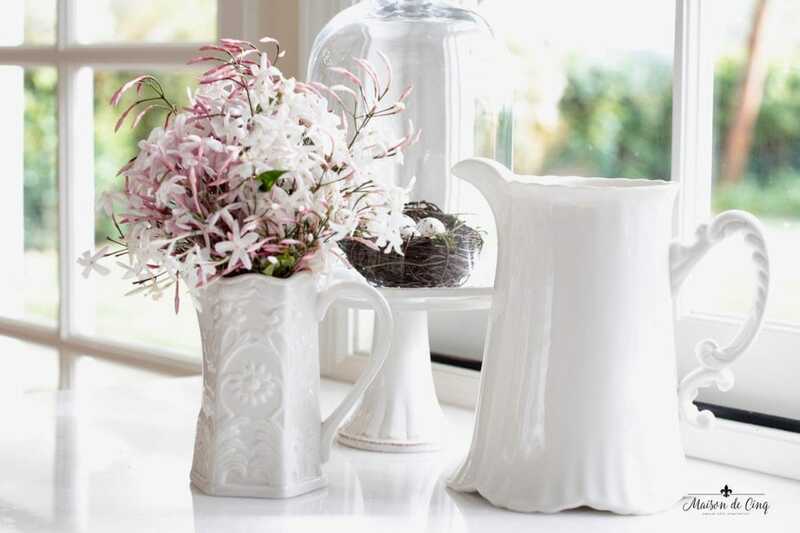 Via Country Living. Here on my coffee table I have a special vintage hotel room key that I keep under this cloche almost year round. And with pinecones? So cute! And you could feasibly leave this up all winter. Via Country Living. A Christmas display I did last year using a miniature bottle brush tree. I love using just one small item under glass as it really makes it stand out! And of course, you can always use them to serve cake! Via Ballard Designs. I'm a sucker for a cloche. These pictures have me drooling. They really do make anything look special! Love your ideas, Sheila! Aren't they the cutest?! The small cloche and silver plate with the key are vintage. I buy them wherever I find them! Beautiful inspiration pics! 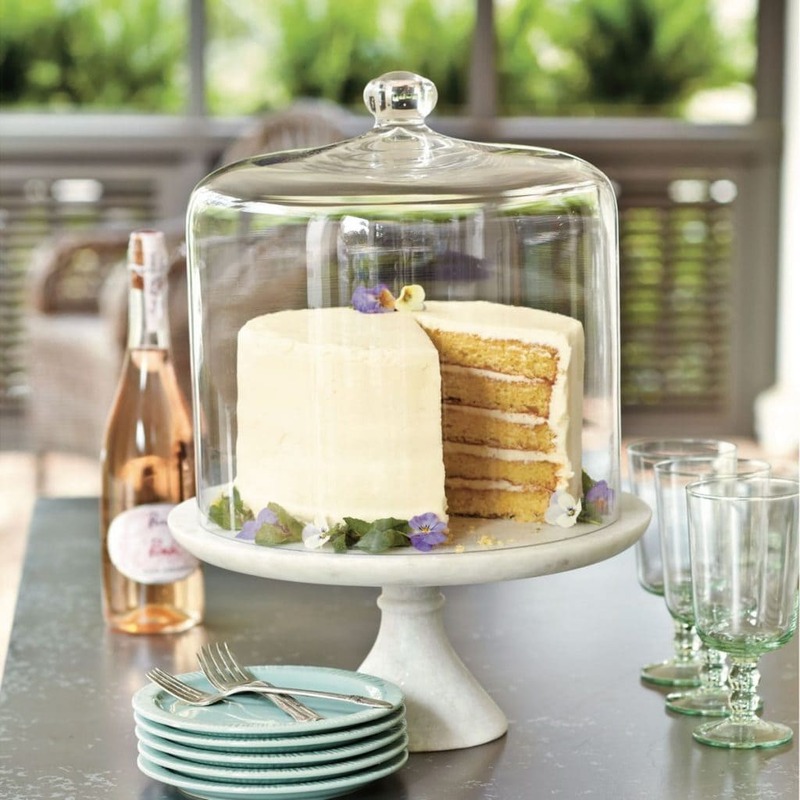 I too just adore glass domes….I have one in my kitchen that always has chocolate chip cookies under it :o) I was hoping you were going to list the source for the little cloche and silver plate you keep your hotel key under…it is so pretty!